Non-capital losses can include the losses you had related to your job, a property, business, and unused allowable business investment losses (ABIL) that were realized during the year or from previous years. If your ABIL is more than your other income from other sources for 2017, include the difference as part of your non-capital loss this year. It’s important to know that the carryforward extension doesn’t apply to a non-capital loss that came from an ABIL. Instead, your unused non-capital loses will become net capital losses after 7 or 10 years (for losses from before March 23, 2004 or after March 22, 2004, respectively). Visit the CRA website for more information on non-capital losses from other years. Note: If you’re a resident of Québec, you can carry back your 2017 non-capital losses using form TP-1012.A-V: Carryback of a loss. You can also use this form to calculate the balance of your non-capital loss that can be carried forward. For more information on deductions you can claim for non-capital losses from other years, visit the Revenu Québec website. Why do I need to report my non-capital losses history when I file my return? 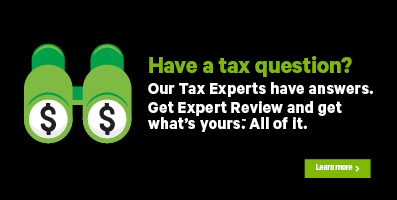 When you report your non-capital losses history on the Non-capital losses page of your return, H&R Block’s tax software will automatically calculate and apply a deduction, if applicable, for any non-capital losses of other years that you might have. To see a breakdown of your non-capital losses on a year by year basis, and for the additional information needed to complete this section, log into the CRA My Account service (registration required). Note: If you don’t want to claim non-capital losses of other years on your 2017 return, there’s no need to complete this section. Under the INVESTMENT INCOME heading, select the checkbox labelled Non-capital losses, then click Continue. When you arrive at the Non-capital losses page, enter your information into the tax software.